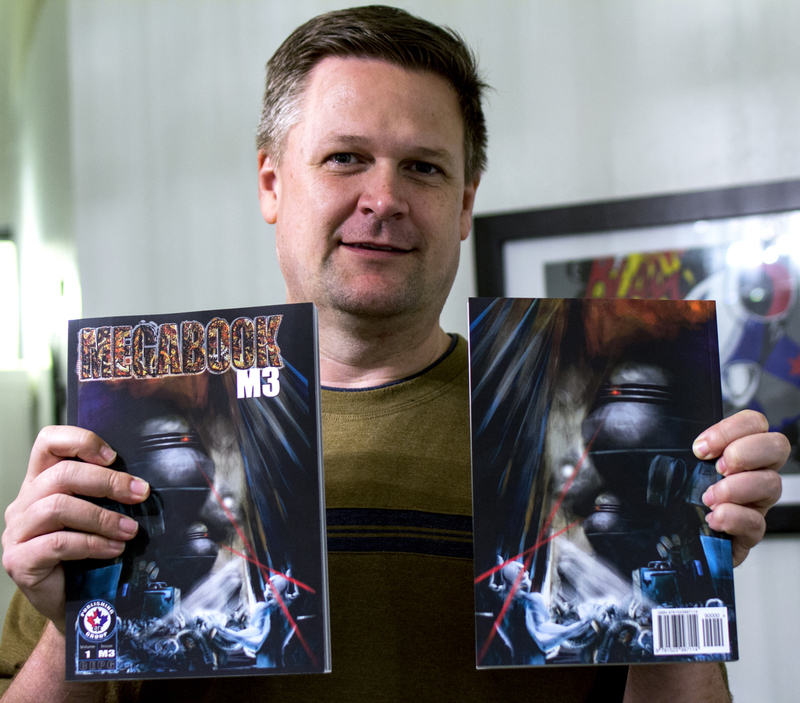 MEGABOOK M3 Trade Paperback is HERE! | CE Publishing Group! Supersite! MEGABOOK Strikes Again! 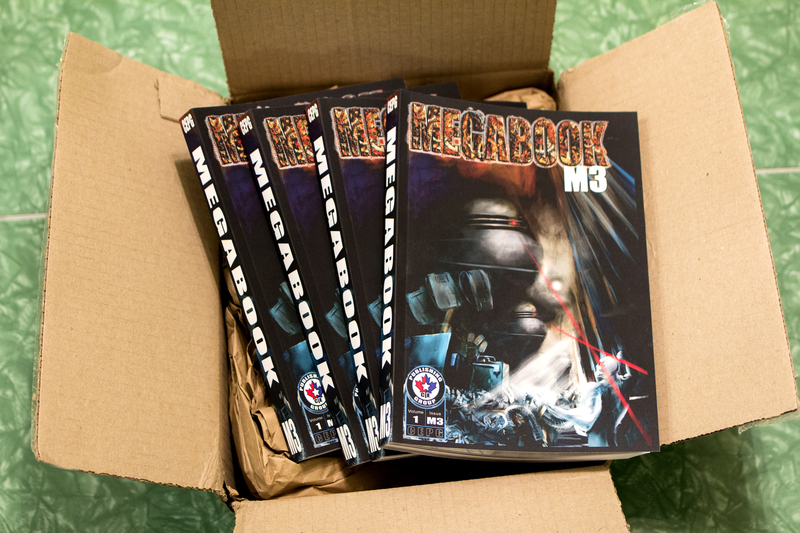 Yes, the M3 edition of MEGABOOK is now available at Createspace for $12 each! 22 stories and 312 pages long! This edition like M4 has original chapter artwork from Orlando Baez and sports another digitally painted cover by Paul Knipfer. 38 indie comic creators took part in creating this incredible book. Get MEGABOOK M3 TPB NOW! Front and back displayed by publisher fashion model!